Düsseldorf (renewablepress) - At this year's ENERGY STORAGE EUROPE Conference, as well as at the parallel International Renewable Energy Storage Conference (IRES), flexible sector coupling will become the focus topic: innovative mobility solutions with power-to-gas technologies, storage technologies for efficient charging infrastructures and cross-sector thermal storage solutions are exemplary keynote matters. The importance of the system-supportive use of energy storage systems continues to grow. Storage applications optimize supply security and enable decarbonisation of the energy system. With the help of energy storage systems, the increasing demand for power can be met and the decentralisation of the energy system can be realised efficiently. "Politicians recognise the relevance of storage facilities for decarbonising a secure supply system. The advancement of power-to-x technologies, such as green hydrogen production, is an important approach here," comments Urban Windelen, Federal Managing Director of BVES, on the latest political signals. The IRES conference of ENERGY STORAGE EUROPE focuses on both research projects and concrete application examples within the area of Power-to-X. The ESE Conference offers a top-class lecture program with the Power-to-X Workshop led by Dr. Christopher Hebling. Hydrogen pioneer Mortimer Schulz will be driving a hydrogen car to the ENERGY STORAGE EUROPE, testing the available hydrogen refueling infrastructure on the road. During his presentation, taking place in the Forum of the fair on 13 March 2019 at 4.05 pm, he will discuss new business models based on hydrogen production, storage and transport. "Multi-use storage models function according to the Swiss army knife principle: a storage technology can be used as a tool for various applications. Peak load shaving, uninterrupted power supply, emergency power supply as well as the replacement of diesel generators. 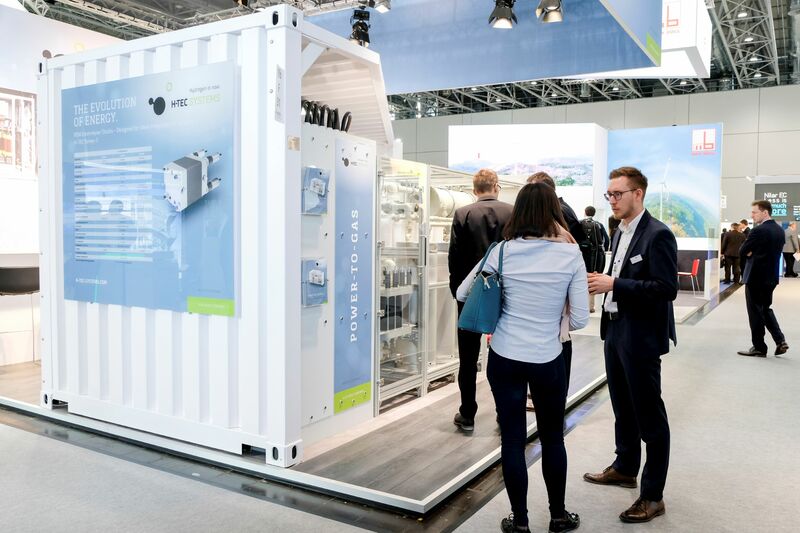 Individually and especially in combination, the applications quickly lead to a very economical use of storage systems," says Urban Windelen, Federal Managing Director of the German Energy Storage Association (BVES). Attention editorial offices: For further questions please contact Herr Daniel Krauß, Messe Düsseldorf GmbH.